Great tip! We use reusuable plastic, but you're right - they do make the water taste funny. I'll be on the lookout for these. The Obama administration just released a report saying that even tiny amounts of BPA cause cancer, diabetes, and endocrine disruption. And BPA is in SO MANY products in the U.S., inlcuding almost all canned food and cash register receipts. Some other nations, such as Japan, and some American states have banned it, but not all. The FDA refuses to declare BPA unsafe because of corporate lobbying. So my little family is just doing what we can, one step at a time. Many plastic bottles now come BPA free, but there are still other chemicals that leach out of the plastic. 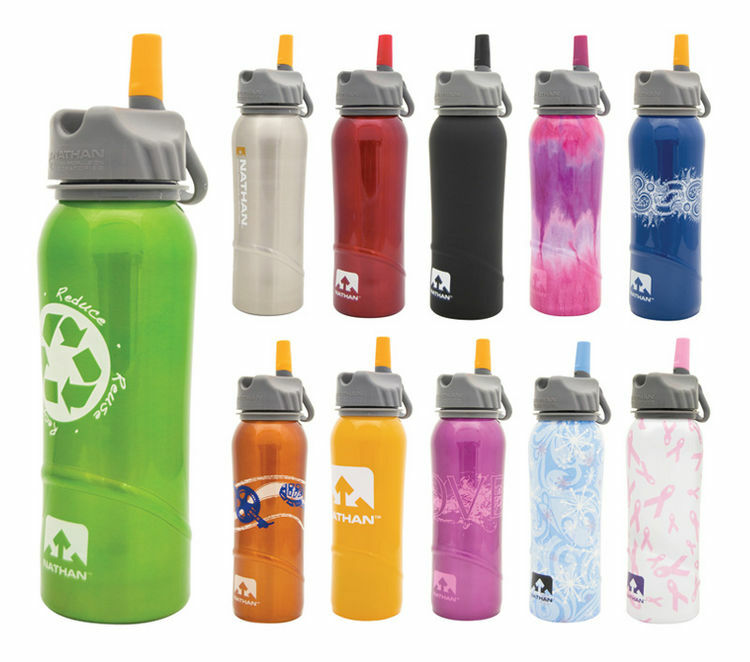 There are many different brands that sell stainless steel water bottles. We picked the sporty ones because Mr. G works at a bike shop and gets a discount. But they're available all over now. I've noticed pretty ones in bookshops and cafes. Love me some stainless steel water bottles!! I have the hardest time picking ones out though....They're all so nice!! I have a little something something on my blog for you!